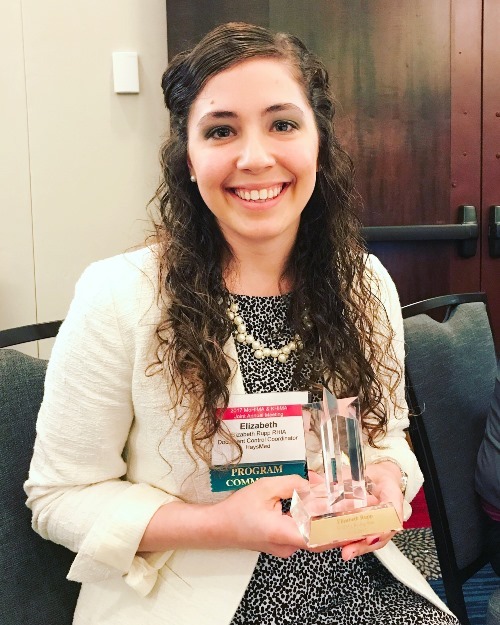 HAYS, Kansas (April 28, 2017)— Elizabeth Rupp, Document Control Coordinator at HaysMed, was recently awarded the Rising Star Award from the Kansas Health Information Management Association (KHIMA) at the joint meeting of the Kansas and Missouri Health Information Management Associate meeting held in Overland Park, Kansas on April 20, 2017. This award is given to a promising newcomer to the Health Information Management (HIM) field who demonstrates exceptional motivation, capability and leadership potential. Rupp works in the HIM department and has been a HaysMed Associate since 2015.